Enjoy camping with family and friends with this Airstream International Signature in tow. 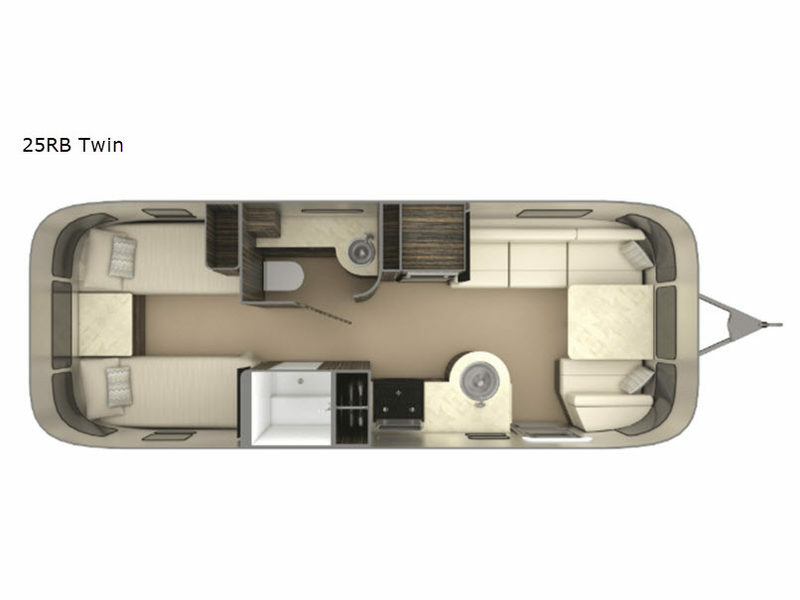 Model 25RB Twin offers a rear semi-private bedroom space with twin beds, a night stand, and an LED TV to watch your favorite movies, a complete bath and kitchen amenities to make meal prep easy! You can comfortably enjoy your meals at the booth dinette or transform into an extra sleeping space at night. You can store your delicious leftovers inside the 7 cu. ft. refrigerator too.